54 fans have viewed Eros Ramazzotti tickets today! Eros Ramazzotti will be performing 1 event in Skopie on Monday 30th September 2019 at the Boris Trajkovski Vip Arena. Sorry, we don't have any Eros Ramazzotti tour dates, events or tickets listed at the moment. 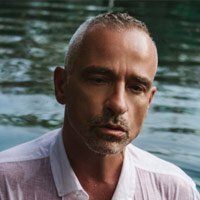 If you'd like to be kept informed on any future Eros Ramazzotti tickets & events, please register for our Tour Newsletter below for weekly updates.